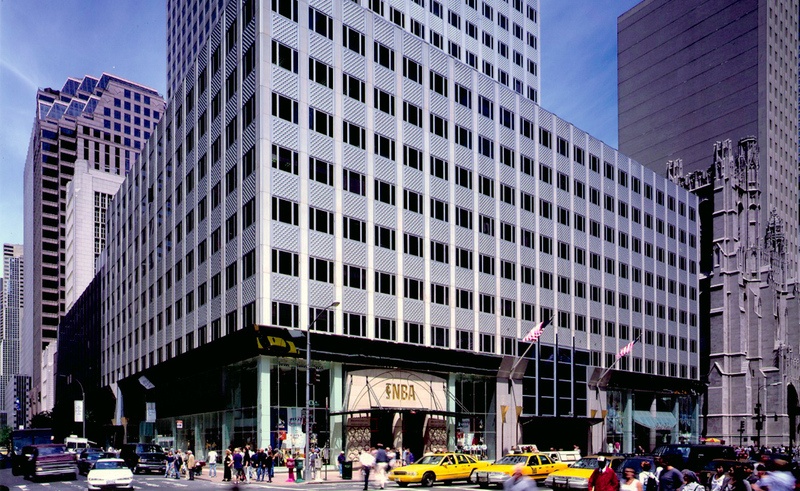 When 666 Fifth Avenue opened in 1958, the ground floor arcade featured a pair of contemporary sculptures by the artist Isamu Noguchi. His “waterfall” is composed of stainless steel rods against a corrugated glass wall washed with a continuous cascade of water. 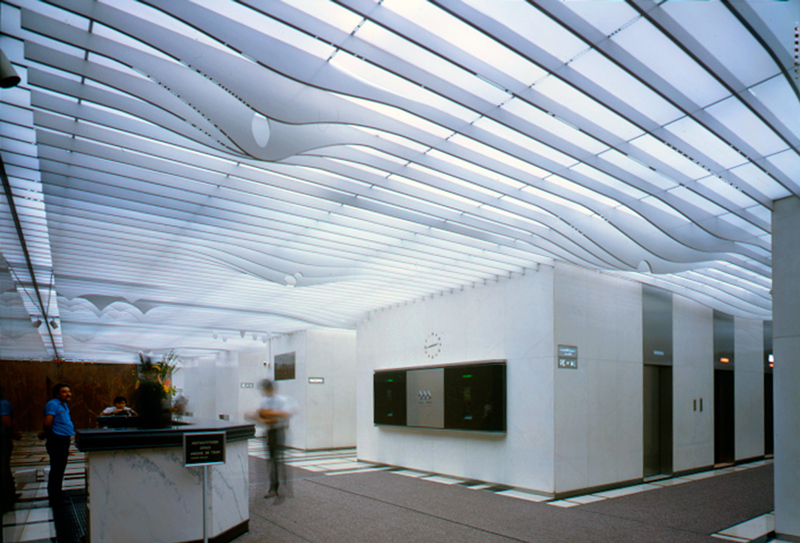 Noguchi’s “landscape of the clouds” consists of lighted enameled-aluminium louvers hanging from the ceiling. 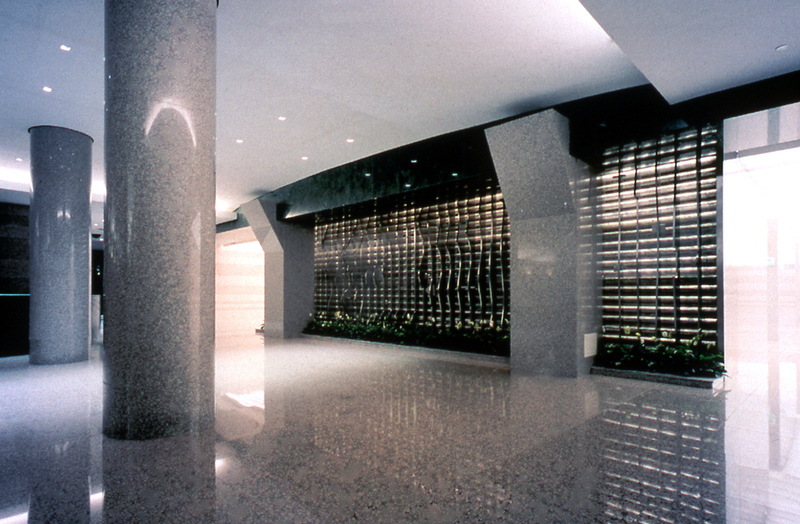 Renovation of the ground floor lobby, arcade, and exterior walls was undertaken to enhance the Noguchi’s sculptures, realise the full potential of retail storefronts, modernize the lobby, and alter existing Subway access.